I also have a ghost child pattern too that I designed in 2011 but I'm not sure if I will include that one in the revision patterns. 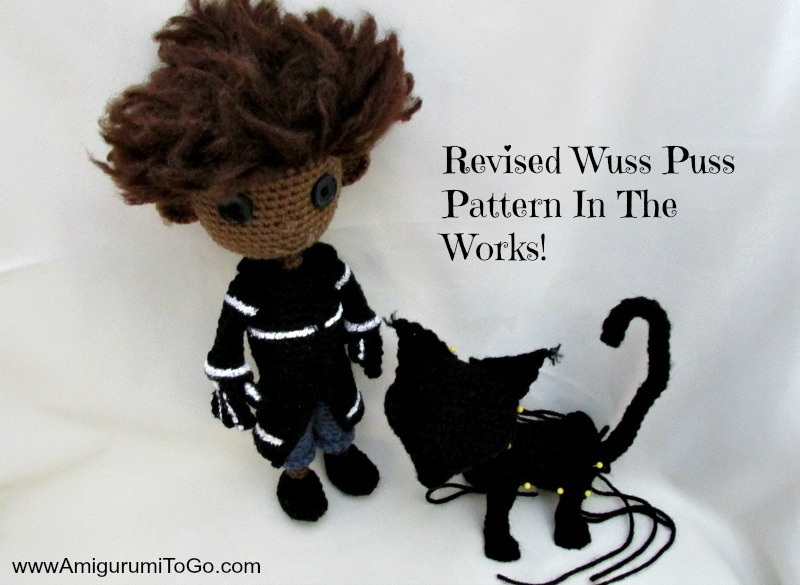 I have plans to include a couple more Coraline characters *fingers crossed* so the ghost pattern might get left as is because time is zipping by so fast and I have too many plans and not enough time! Oh, and also I have 2 more heart patterns coming out in the next couple days. 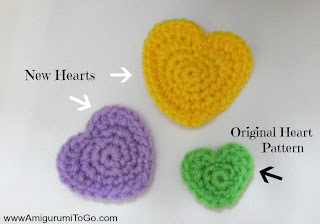 My original heart pattern that I released on Valentine's Day this year is a small one and I've had a few requests for one slightly larger. The small one can not be enlarged without losing it's shape so I've been working on these ones. The heart shape is a difficult shape to work on but stitch by stitch I think I finally got it! It's almost perfect too just a slight dip on the one side that drives me a bit batty but I think it'll be ok So watch this site in the next day or so and the almost perfect heart pattern will be waiting for you!